One of our main objectives for 2019 is to ensure that we provide a memorable and worthwhile series of events and activities to celebrate our 50 years of operation. A second objective is to achieve this, without adding any cost burden on to our users – the scouts and guides who participate in all our activity sessions and training throughout the year. In the past few weeks, we have been very fortunate to attract funding support from Targe Towing, who operate all the tugs and workboats which work the Hound Point Oil Terminal just beside us. These guys are long term friends as they watch over our boats and moorings during their 24/7 operations, they even come to offer assistance occasionally if we appear to be getting into trouble! 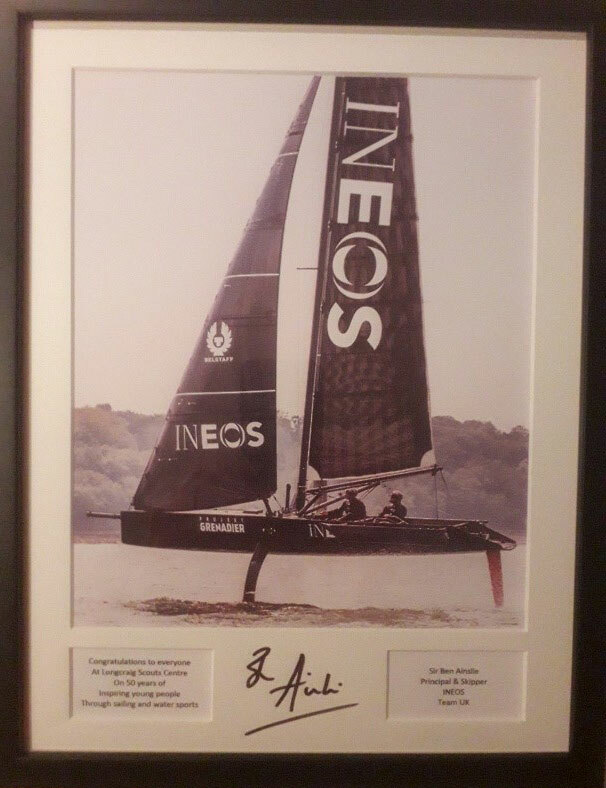 This was followed by a donation from Forth Ports, who control and manage all the harbours and ports in the Forth Estuary, and finally, a donation from Ineos, who now operate the Hound Point Oil Terminal, alongside the Grangemouth Refinery and the 140 mile oil pipeline from Aberdeenshire down to Grangemouth. 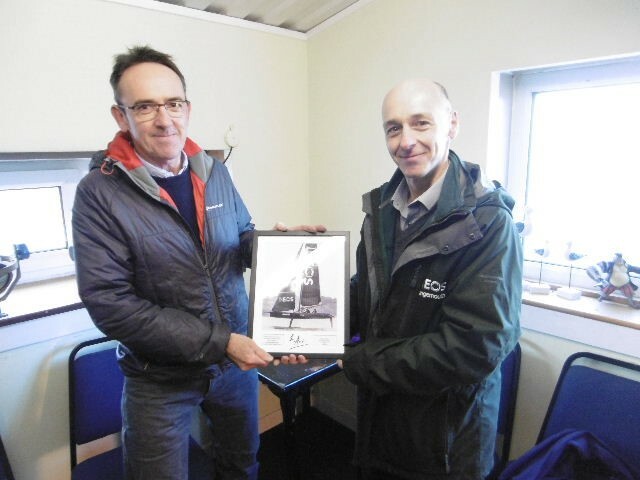 The photos show the representatives from Ineos with the memento and cheque they presented. Further donations and sponsorship are actively being sought, if anyone is aware of any potential supported please put them in touch to ian.harrower2@virgin.net. REMEMBER: Were you involved in any way with Longcraig Scout Centre at any time? As part of this year’s anniversary celebration, we plan to hold an exclusive day specifically for all the folks who have been involved with Longcraig in any way at some point over the last 50 years. If you would like to get in touch we will make sure you are included in all correspondence and invitations to this and other events which will be taking place. Please pass this snippet of information on to anyone you know who may not have direct access to this newsletter! 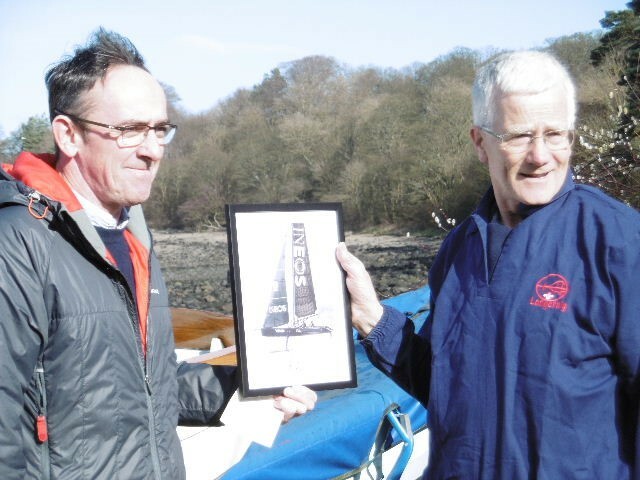 This initiative, essentially an open day sponsored nationally by the RYA (Royal Yachting Association) is this year being supported by Longcraig and aimed at leaders and adults. to seek to encourage anyone who wishes to volunteer, do consider doing so. This can be with a water skill that you can bring, or not. We have opportunities for a range of support both on and off the water. But the PTBO Day is predominantly to let people see what Water activities is all about. The date for this year’s event is Saturday May 11th.